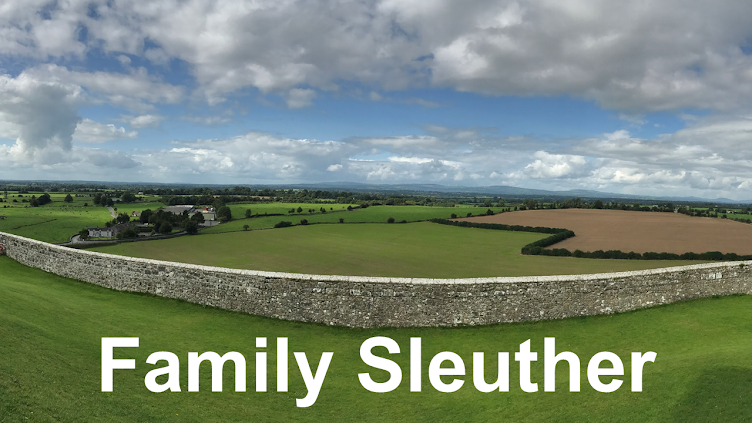 The day after my maternal grandmother's funeral, I set out on a 7-day family history road trip with my mother and aunt. 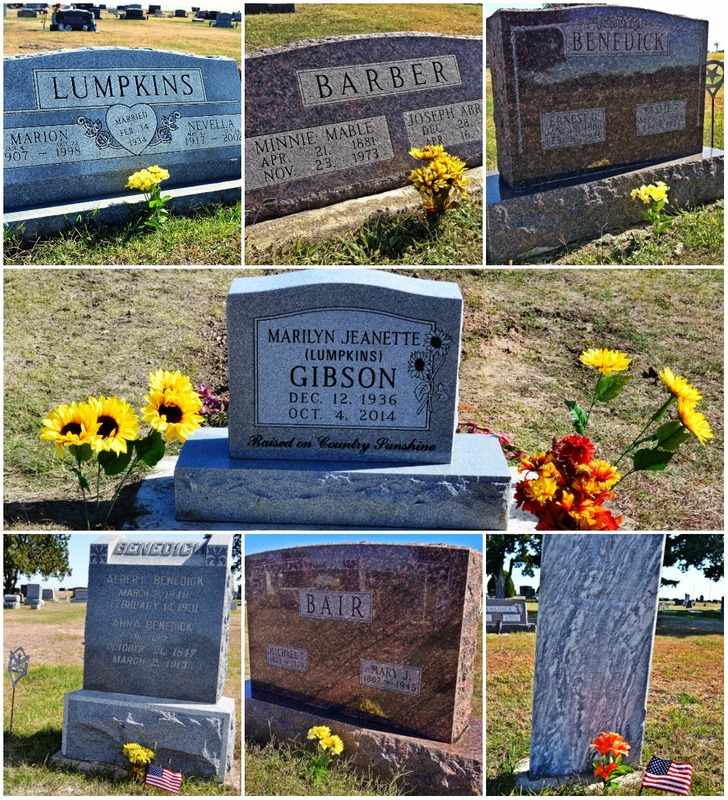 We traveled across five states, nearly 2,200 miles in total, and paid our respects at the graves of 36 direct ancestors. It was my hope that the week-long trip would be a healing experience and an opportunity to see and connect with our ancestors' lives. Family was important to my grandmother, and this experience was an opportunity to reinforce and honor that legacy. My grandmother was from Plainville, Kansas. It's a small farming community with a population today of approximately 1,900. My 3rd great-grandparents Albert and Anna (Dornon) Benedick were among its early settlers. Following their arrival, several generations called the town home and today rest eternally in the Plainville Cemetery. In total, 11 of my direct ancestors are buried on the grounds, including my grandmother who always called Plainville home. From Plainville, we traveled north to Stockton where my grandparents were married (and later divorced) in the town courthouse. Making our way east, we drove to the small community of Cuba, Kansas. My 2nd great-grandmother Minnie (Hawks) Lumpkins Barber was born in a dugout nearby in 1881. Coincidentally, the town was holding a festival. Main Street was closed to vehicles, and folks were cooking BBQ and playing games. In one game, people would pair up, grab hold of a rope and pull a sled weighted with blocks down the street. As the couple hauled the sled, onlookers would toss more weights onto the load to heighten the challenge. The crowd's cheering and laughing was occasionally drowned out as biplanes would come in low over Main Street, climb skyward, turn around and make another swoop. 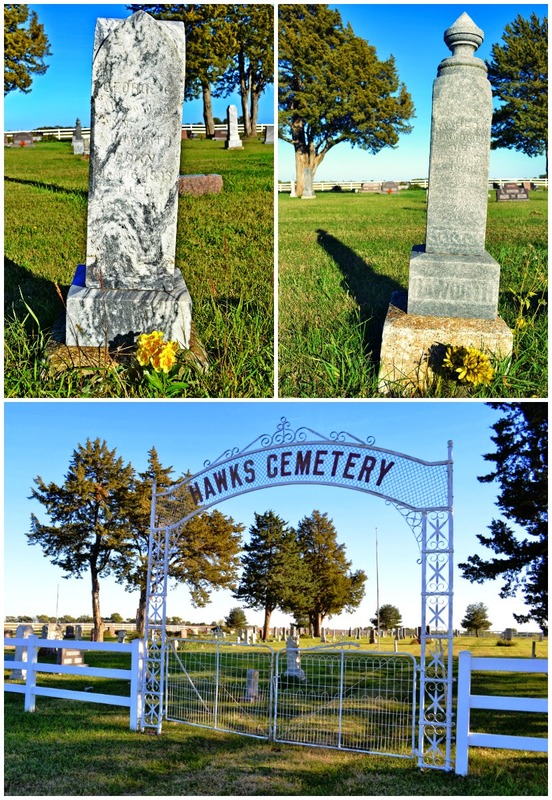 We drove about four miles east of town to the Hawks Cemetery, which is situated alongside a dirt country road. The cemetery is fenced off from the farmlands that stretch for miles in every direction. The grounds are beautifully kept despite the seeming isolation from human activity. The Hawks Cemetery is the final resting place for my 4th great-grandfather George Chalkley Haworth and his father Mahlon Stanton Haworth. George and his brother founded the now abandoned ghost town of Haworth. George was the town's first postmaster. Sadly, the road to what remains of Haworth was muddied and prevented my wimpy rental car from making the trip. If I needed a reason to return, this would be added to the list. Mahlon, my 5th great-grandfather, was a Quaker and an ardent abolitionist. After his death, it was learned that he served as a station manager on the Underground Railroad. His home in Iowa was found to contain secret rooms to hide slaves seeking freedom in the north. That's a legacy in which I take great pride. Not a bad start to our family history journey.